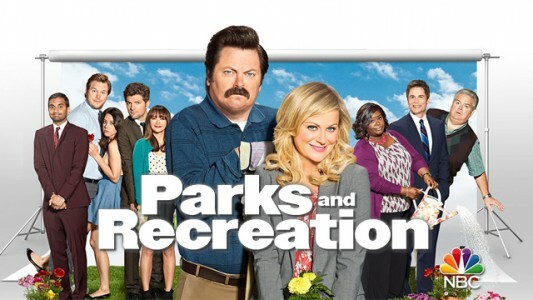 A Trip To The Future With Parks And Recreation Season 7! Well Parks and Recreation is back for its seventh and final season, and it is shaping up to be a fun one. They have moved the show’s time period up to 2017, and we are getting to see the cast deal with their success. It turns out after getting what you want it is hard to keep it. Leslie is having a hard time convincing people to put in a national park instead of a tech giant’s headquarters; Tom finds out that money doesn’t buy him the happiness that he wanted; Ben is unsure of himself as the new city manager, and April is starting to wonder if she has chosen the right path in life. I think moving the show forward was a great idea for a final season because we will get to see how these characters have changed, and how they deal with their new circumstances. The first two episodes were funny, so at least they are starting off in a good direction. I am wondering how tightly they are going to wrap this up, or if they are going to leave a few threads dangling just in case. I am glad that Parks and Rec is back on the air. It is sad that this is its final season, but at least it is going out on top and not slowly disintegrating in to nothing. If they can keep up the quality of the first two episodes we are in for a great final sendoff. Previous PostPrevious Batman Battles Hush! Next PostNext The Sandman Returns To Your Dreams!